The biocides carbonate base has found various long-term applications in various operations regarding water treatment and purification of the highest order. Additionally, we have been selling many customized outputs just as well. We sell many variants in the markets for the sake of the best in terms of industrial application that stays on the line for very long periods. The biocides- Thiazoline base comes to be a product of great industrial usage pertaining to water treatment and purification. Our systems come to deliver perfection in terms of composition correction. We offer a lot in terms of long-term technical assistance that offers many years of consistent service to the industry. A Defoamer or an anti-foaming agent is a chemical additive that reduces and hinders the formation of foam in industrial process liquids. The terms anti-foam agent and defoamer are often used interchangeably.A defoamer is normally used in industrial processes to increase speed and reduce other problems. It addresses both problems with surface foam and entrained or entrapped air. Antifoams are used in a wide variety of foaming systems and in very small concentrations usually only a few parts per million. Foam can cause major inconvenience in industry resulting in damage to goods, loss of valuable products and reduced plant efficiency.Our product s a free flowing powder containing silicone antifoam compound. This product has excellent long lasting foam control in Industrial application. eg. Dry flowable Agrochemicals, wettable Agrochemical powders, cement admixtures, patch and repair in concrete formulations.It is a specially formulated product that it used for various applications in different industries. It is a versatile product that combines stability with excellent defoaming action. Silicone defoamers are generally preferred for better stability and more lasting defoaming power in very small concentrations. 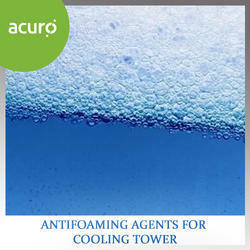 Highly effective in foam control.Outstanding versatility, effective in most.Foaming systems.Low addition levels.Extremely stable, both on storage and in the foaming system itself.Readily compounded with other powdered formulations.Easy dispersibility in aqueous media.Bio-acceptable and eco-friendly. Corrosion Inhibitors prevents the metal components of any system from corrosion. Corrosion is caused by various impurities like dissolved and suspended solids, dissolved gases, biological impurities, and acids present in the water. 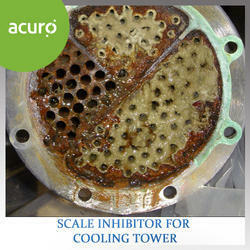 ACURO has to its name a large assortment of premium quality anti-scalants and corrosion inhibitors. Additionally, we have been selling many outputs at industry leading prices. We have been making utility of various programs of great utility at various levels. The corrosion inhibitors come to find utility in metal retention programs of various sorts. CHEMGUARD 2823 Corrosion inhibitor for steel, aluminium and other non ferrous metals.CHEMGUARD 2225 Silicate Based Corrosion Inhibitor.CHEMGUARD 2809 Molybdate/Phosphonate Corrosion Inhibitor, Closed Systems.CHEMGUARD 2309 Corrosion Inhibitor & Antifoulant for Aluminium Cooling & Closed Circuits.CHEMGUARD 2308 Steel, copper and other non-ferrous metals. 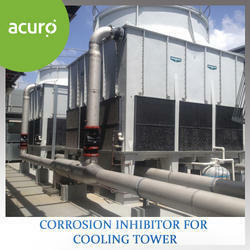 Industrial cooling towers can be used to remove heat from various sources such as machinery or heated process material. 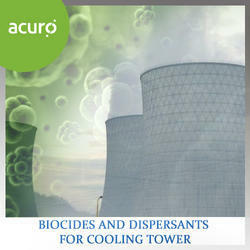 The primary use of large, industrial cooling towers is to remove the heat absorbed in the circulating cooling water systems used in power plants, petroleum refineries, petrochemical plants, natural gas processing plants, food processing plants, semi-conductor plants, and other industrial facilities. The circulation rate of cooling water is usually high & requires a supply water make-up rate of around 5%.Our Advanced Cooling Solution is an innovative offering that can help you control and maintain your cooling systems with greater efficiency, reliability. It lowers your total cost of ownership and minimizes the environmental impact of your operation. Scale Inhibitors are chemical compounds that inhibit or prevent scale formation in the heat exchanger by means of sequestering calcium and magnesium salts, dispersing silica, chelating iron and breaking-up colloidal deposits like clay and silt that are otherwise formed in the heat exchanger. 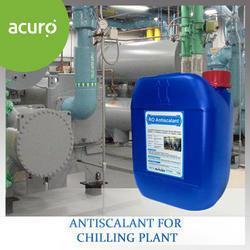 ACUCOOL AS7 is a product specially designed for the prevention of scale formation due to Calcium and Magnesium compounds in chilling plants / evaporators and increasing the heat transfer efficiency. This results in the chilling plants / evaporators working for almost double the normal working time between general cleanings, greatly enhancing production rates. The general recommended dosage level is 5-15 ppm, but it may vary on the basis of water analysis . Prevents scale formation, inhibits additional corrosion and pitting .improves heat transfer efficiency, reduces frequency of cleaning, life of the equipment is considerably enhanced. 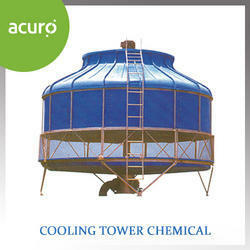 Looking for Cooling Tower Chemicals ?